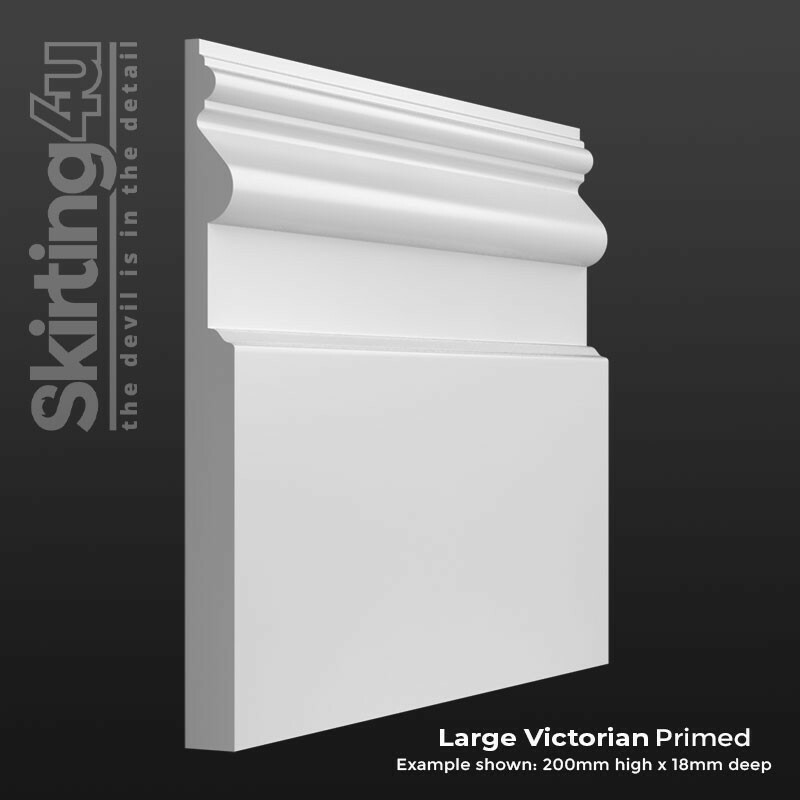 The Large Victorian profile is exactly that- a taller version of the ever-popular Victorian designs. 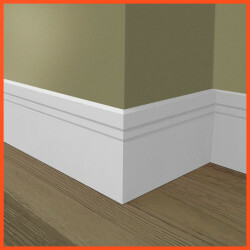 This is perfect for a period property where it is important that the ratio between the detailed and flat sections of the skirting board is kept small to maximise the detail and ensure it isn’t ‘lost’ when fitted in a room with high ceilings. Please note - this profile is from our specialist range of tall skirting boards. The height of the profile for this design is 96mm, and the image shows this product as it would look at 200mm high overall, instead of 120mm high like our standard range. Our Large Victorian Skirting Board is manufactured from high quality, Moisture Resistant MDF. This material is used extensively throughout the construction and interior design industries because of its durability and versatility. The Large Victorian profile is produced in our factory located in the West Midlands using our best-in-class spindle moulders to achieve a superior moulding detail. We are confident that our products will withstand even the closest scrutiny, and actively encourage our customers to order a sample so that they can instantly see that the products we produce are of the highest possible quality.